Best Dinner | Brick & Fire | Food, Etc. Years ago, before artisan bakeries really caught on in Humboldt, a young couple installed a beautiful brick oven in a Eureka storefront and opened White Cat Bakery. Their business is long gone, but that brick oven remains -- it now serves as the centerpiece to the appropriately named F Street bistro Brick & Fire, winner of a hard-fought contest for best dinner joint. 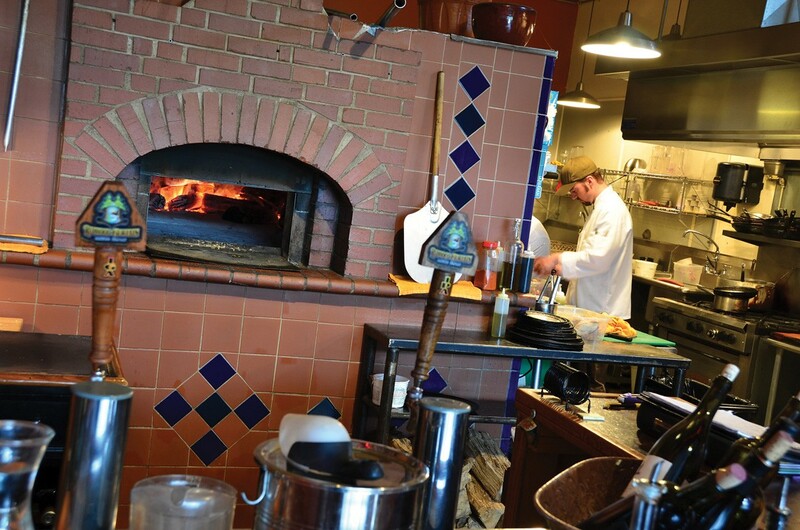 The eclectic Brick & Fire menu tends toward Mediterranean -- wood-fired pizzas are a specialty -- but it's also based around local ingredients with delightful surprises like a grilled Caesar salad with Parmesan panna cotta. Another favorite mentioned by readers is the "Brick Bird," a brined game hen squashed with a brick and fire-roasted, doubling down on the business name. One reader's praise for the "attention to detail, creative dishes, great service," came with a small complaint: "wish they had breakfast." It's not a big place, so reservations are pretty much mandatory most nights, but it has made waiting for a table easy by opening a nearby sister venture, a wine bar with appetizers and/or dessert called Two Doors Down that's, you guessed it, two doors down F Street. Brick & Fire is at 1630 F St. in Eureka; closed Tuesdays, open for lunch and dinner all other weekdays with dinner only Saturday and Sunday. The Breakdown: Brick & Fire 9.6%, 3 Foods Cafe 6.3%, Kyoto 6.0%, Tomo 5.1%, Larrupin 5.0%. Category popularity: Fourth.